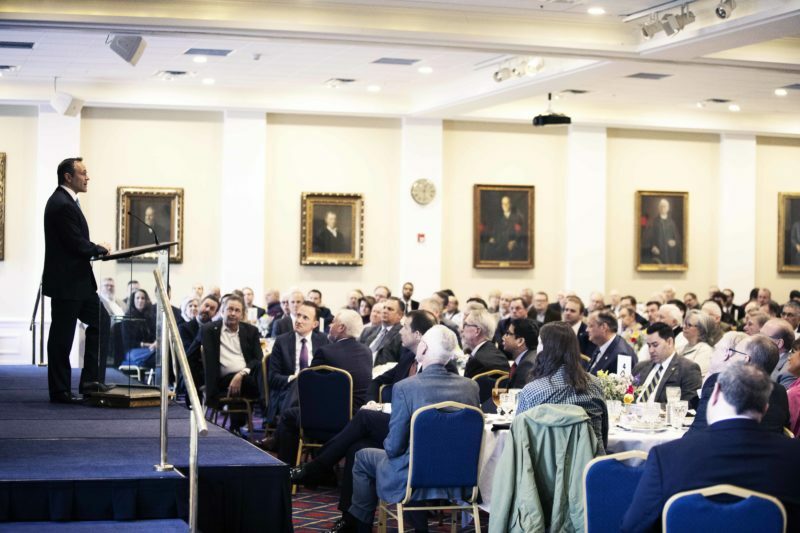 A glorious vision of people from all nations worshiping God should inspire all ministry and mission, said Paul Chitwood, president of the International Mission Board, during Southern Seminary chapel, April 18. Chitwood, the new president of the IMB, is a two-time graduate of Southern Seminary, having earned both his master of divinity and doctorate of philosophy at the school. 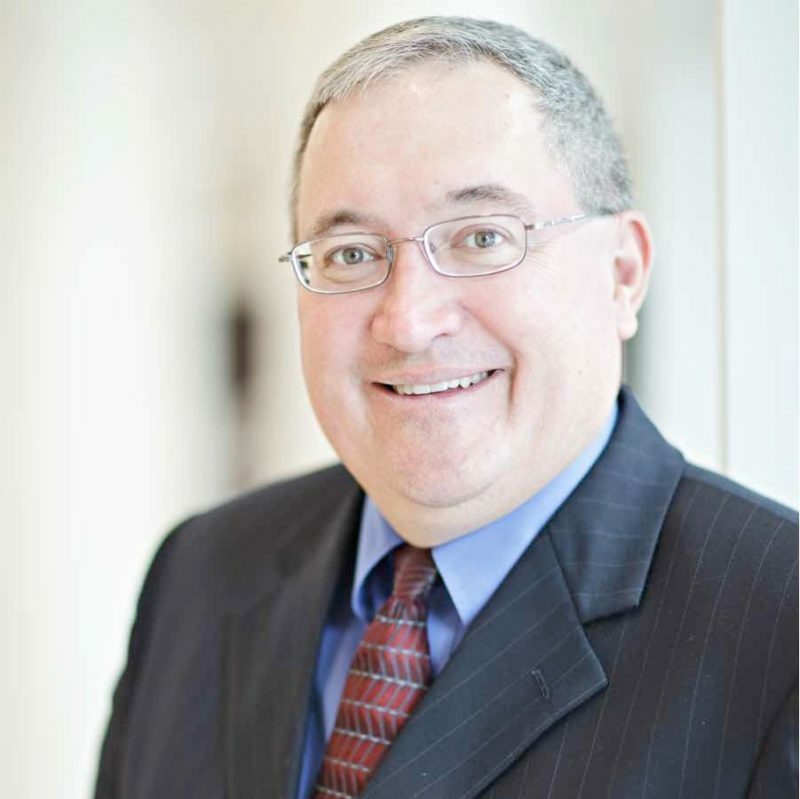 He was elected president of the IMB in November 2018. Before that, he was executive director of the Kentucky Baptist Convention and a professor at the seminary. Two graduates and longtime administrators at The Southern Baptist Theological Seminary were recognized today during chapel for their recent elections to the leadership of Southwestern Baptist Theological Seminary. R. Albert Mohler Jr., president of Southern Seminary, presented gifts and certificates of appreciation to his former colleagues Adam Greenway and Randy Stinson, who in March were announced as the next president and provost, respectively, of Southwestern Baptist Theological Seminary in Ft. Worth, Texas. 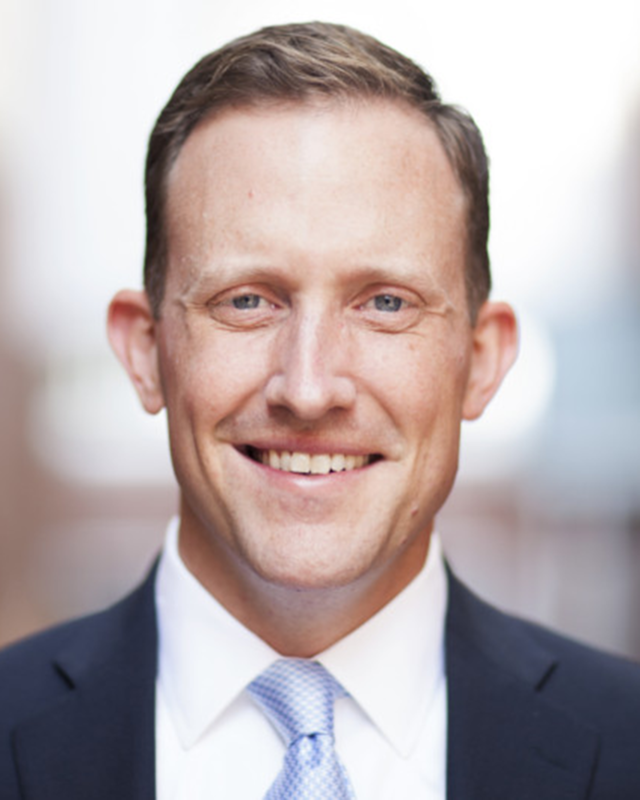 Greenway was previously dean of the Billy Graham School of Missions, Evangelism and Ministry at Southern Seminary, and Stinson was provost and senior vice president for academic administration. Mohler called their elections a “moment of pride” for Southern Seminary. Albert Mohler Jr. announced three new appointments to the administration of The Southern Baptist Theological Seminary during the plenary session of the spring meeting of the Board of Trustees Monday night. Matthew J. Hall is the new provost and senior vice president for academic administration, Paul Akin is the new dean of the Billy Graham School for Missions, Evangelism and Ministry, and Dustin Bruce is the new dean of Boyce College, the undergraduate school of Southern Seminary. 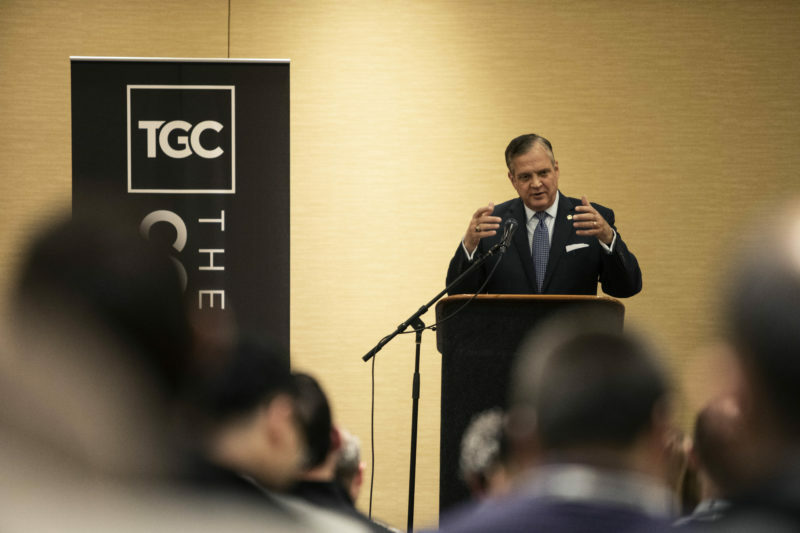 R. Albert Mohler Jr. named three young scholars to key academic leadership positions during his address in the plenary session of the spring meeting of The Southern Baptist Theological Seminary Board of Trustees, April 15. Mohler announced Matthew J. Hall as provost and senior vice president of academic administration, Paul Akin as dean of the Billy Graham School of Missions, Evangelism and Ministry, and Dustin Bruce as the dean of Boyce College. Hall’s appointment is effective immediately. Akin and Bruce each begin June 1. 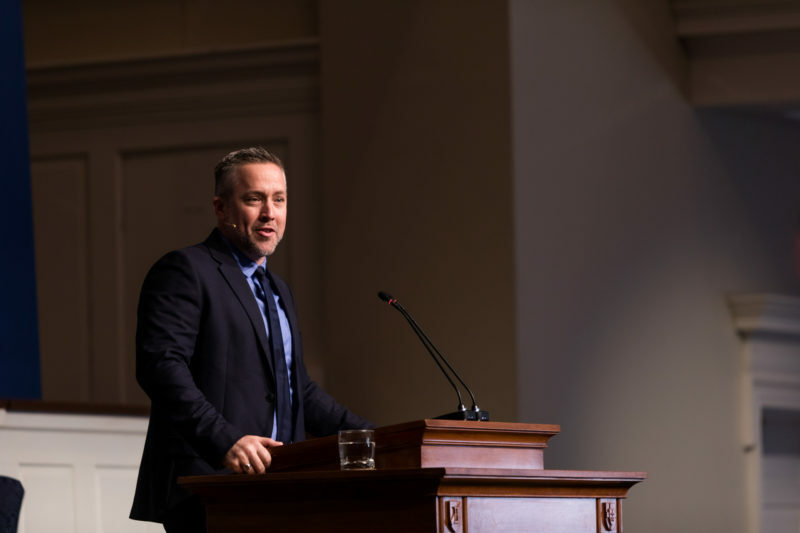 The local church should be the starting place for Christian engagement in political thinking and involvement, said Jonathan Leeman at Late Night event sponsored by The Southern Baptist Theological Seminary during The Gospel Coalition national conference, April 2. 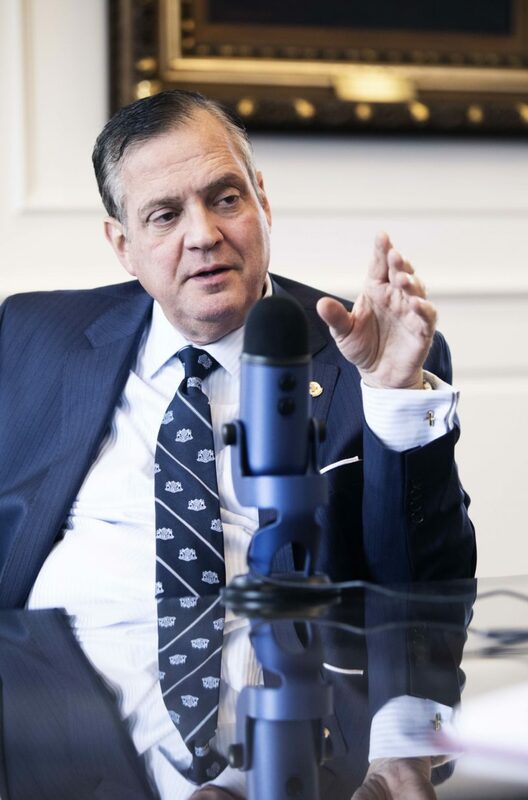 The event was a conversation with R. Albert Mohler Jr., president of The Southern Baptist Theological Seminary, for a the first-ever recording of Thinking in Public, Mohler’s interview series with notable scholars and thinkers about their work. The Southern Baptist Theological Seminary was well represented at the biennial national conference of The Gospel Coalition, April 1-3. 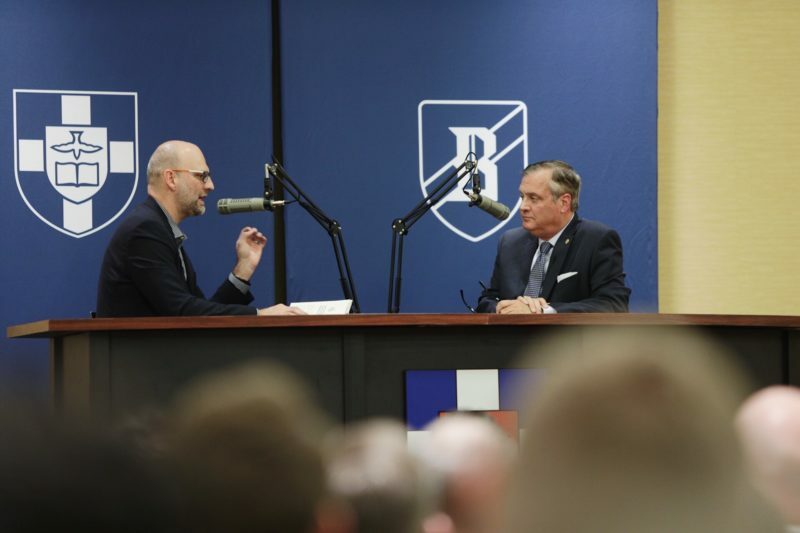 The seminary sponsored two events during the week: a breakout session featuring R. Albert Mohler Jr. and a live recording of Mohler’s popular podcast Thinking in Public, both on Tuesday, April 2. In addition, Southern Seminary alumnus Jeff Robinson moderated a panel discussion featuring professor Juan R. Sanchez and trustee H.B. Charles. The gospel needs to spread throughout the world through ordinary people, just like it did in the book of Acts, said J.D. Greear during chapel at The Southern Baptist Theological Seminary, March 26. Greear, the president of the Southern Baptist Convention, used the example of Stephen in Acts 6-7 to bring this point home, arguing that the blueprint for the spread of Christianity was more like Stephen’s dramatic sermon before the Sanhedrin than the Sermon on the Mount. LOUISVILLE, Ky. (SBTS) — Among all the statements and confessions in the history of the church, one stands above them all: the Apostles’ Creed. Recited at every commencement ceremony of The Southern Baptist Theological Seminary and in churches — of all traditions and varieties — across the world, the Apostles’ Creed has long been considered the basic teaching of Christianity. But it is much more than a historical document, according to R. Albert Mohler Jr., president of Southern Seminary. It is a deeply compelling and transformative link between Christians old and new. In his new book, The Apostles’ Creed: Discovering Authentic Christianity in an Age of Counterfeits, Mohler seeks to rekindle a love for the creed nearly 2,000 years after its writing. The book is out today from Nelson Books, and can be purchased at Amazon and major booksellers everywhere. Timothy K. Beougher will serve as the acting dean of the Billy Graham School of Missions, Evangelism and Ministry at The Southern Baptist Theological Seminary, President R. Albert Mohler Jr. announced Thursday evening. Beougher, the Billy Graham Professor of Evangelism and the associate dean of the Billy Graham School, will begin serving as acting dean immediately.